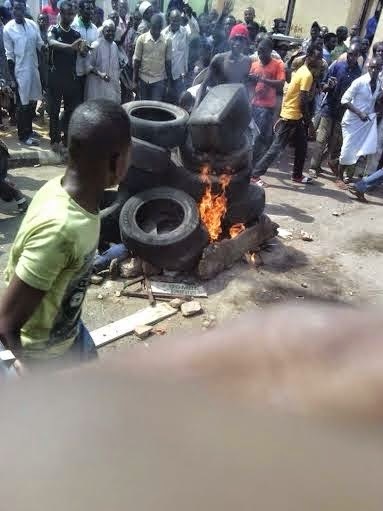 A suspected suicide bomber has been caught and burnt alive by angry mob in Gombe state. 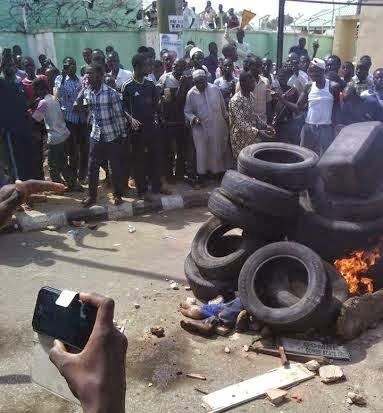 The male suicide bomber who was allegedly dressed with a bomb hidden under his cloth was apprehended and burnt alive some few minutes after 1pm this afternoon at the Gombe Line Park in Gombe state. 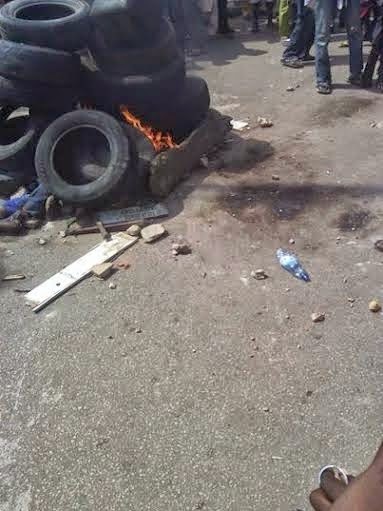 Speaking with some residents of the area, they said the man was about blowing himself up when he was spotted.They also said the angry mob refuse handling over the suspect to the police.